June's box contained: a ScaleColor trio for painting ice and a WarColours gloss to finish off that ice effect perfectly, as well as a trio of Secret Weapon engine paints for painting engines/ machinery, alongside a unique Liquid Pigment from LifeColor. Head to the article here to learn more! 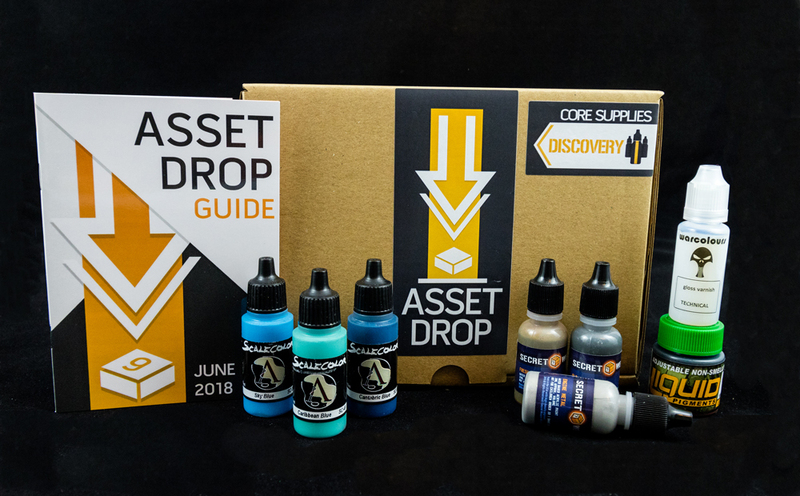 Read the previous article: Get the Asset Drop Subscriber Discount and Start Saving. Read the next article: Check Out June's Badass Heroines Box.